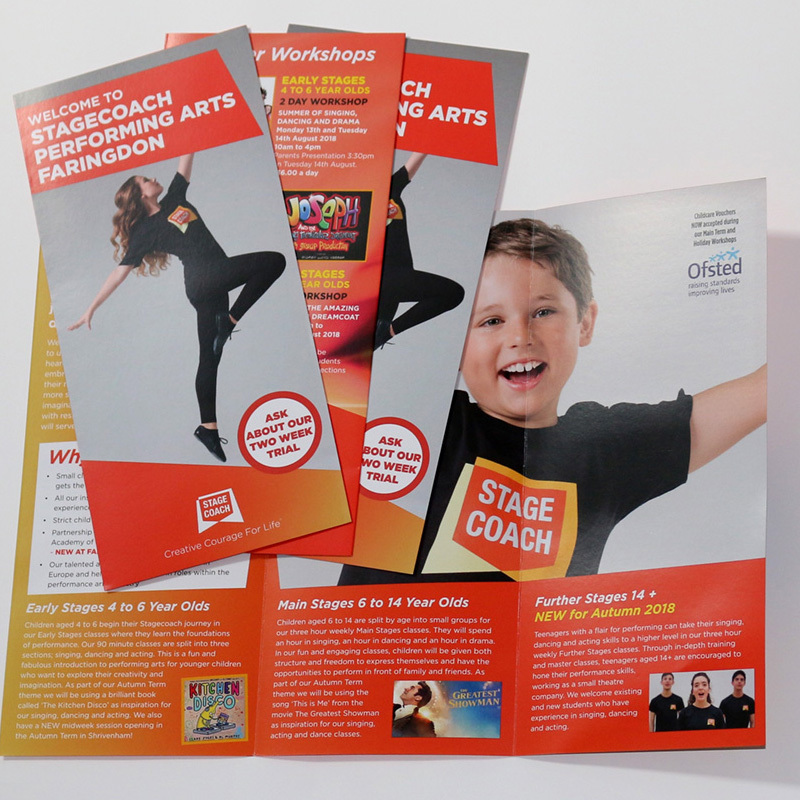 Design and print for a DL Tri-fold flyer. Used to promote classes and workshops locally, while staying on brand. 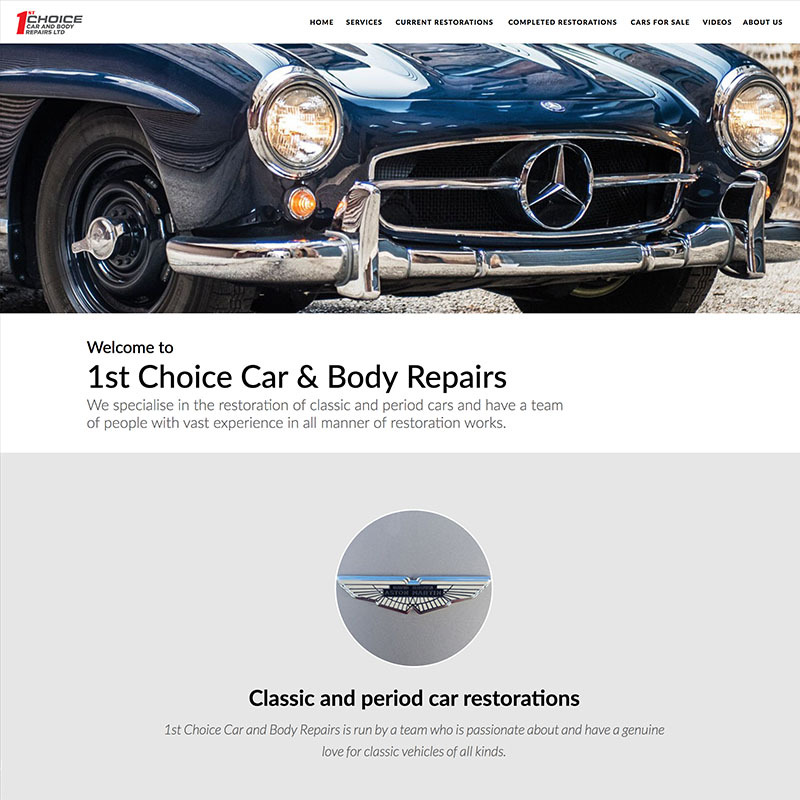 We helped this local business right from the start. 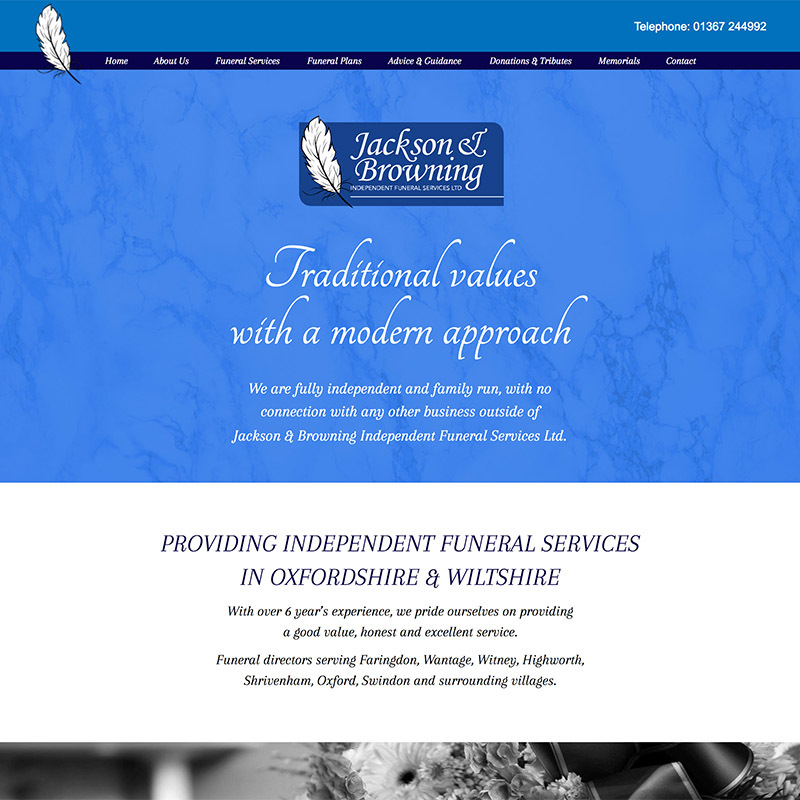 After initial logo designs were approved we went on to supply; website design & hosting, business cards, letterheads, brochures and flyers as well as a custom printed entrance mat. A new nail & beauty salon to Faringdon. 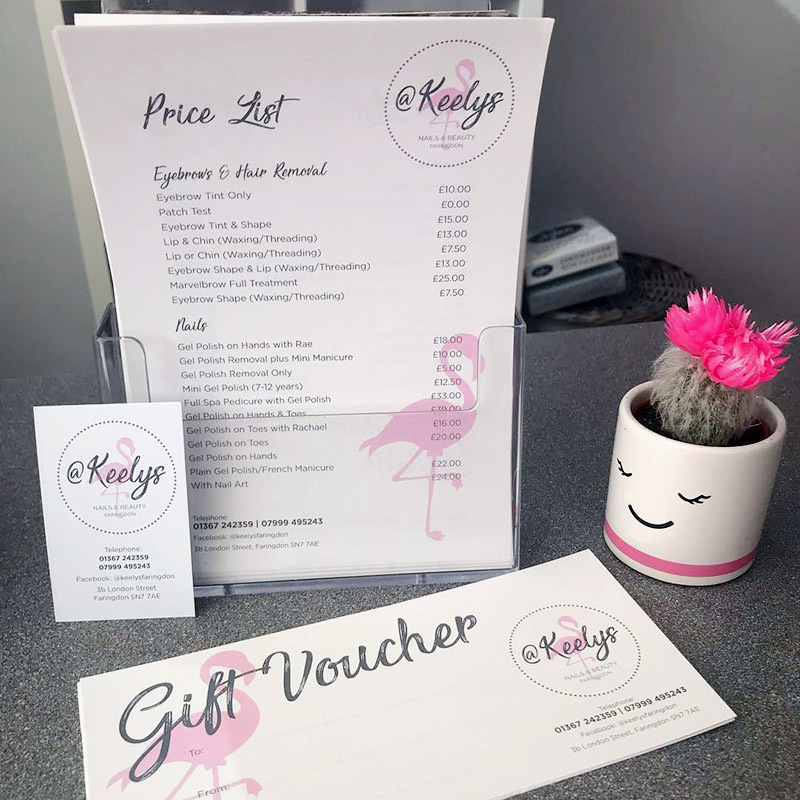 This project involved logo design, price lists, appointment & loyalty cards and a large pink flamingo window graphic. 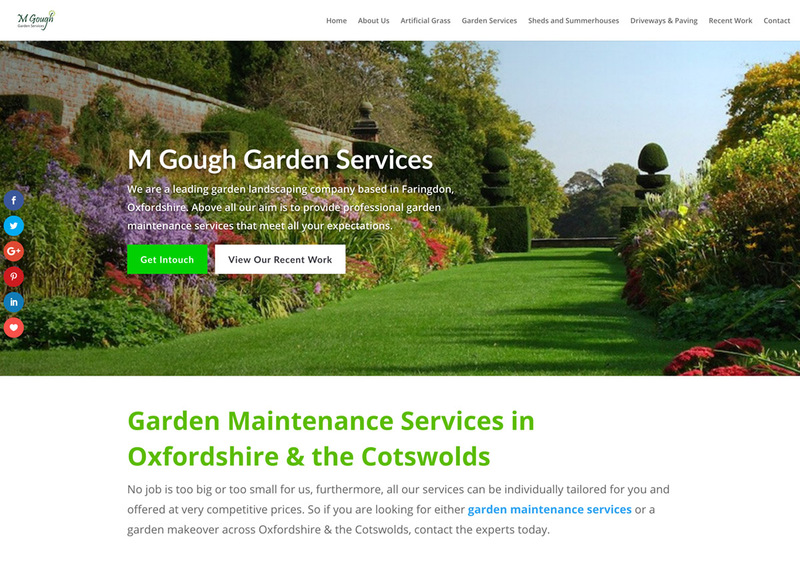 New website design for M Gough Garden Services. A Faringdon based garden maintenance company.